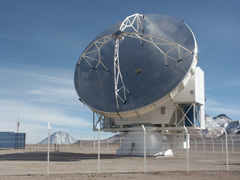 VERTEX ANTENNENTECHNIK GmbH (VA) is a worldwide supplier for Ground Stations, Precision Antenna Systems and Radio Telescopes. Ground stations for fixed, mobile and transportable applications including RF-electronics, base band equipment, and high data rate modulators, which can all be controlled and monitored by VA's M&C system. In the fields of satellite communications, remote sensing, TT&C, or deep space missions, customized solutions for all frequency bands and applications can be provided. Engineering, program management, logistics, on-site installation, and testing are performed by a dedicated team of specialists. VERTEX ANTENNENTECHNIK is located in Duisburg Germany and is certified according to ISO 9001:2015, ISO 14001:2015, BS OHSAS 18001:2007.